A simply unforgettable way to conclude your Cruise Vacation. The Bocelli FarmHouse Post-Cruise Tour offers to those of you who are concluding their main cruise vacation in Civitavecchia port of Rome on a cruise the unique opportunity to spend four days exploring the life and music of the Maestro Andrea Bocelli. You will be able to enjoy the ports of call of this memorable tour after your main cruise vacation. 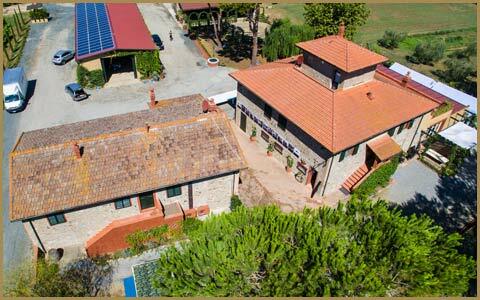 During the Bocelli Shore Tour, you will be accommodated in the elegant and stylish Bocelli FarmHouse apartments, enjoy luscious regional restaurants and have a chance to discover Tuscany's greatest scenarios while travelling in complete comfort with your English Speaking Driver. 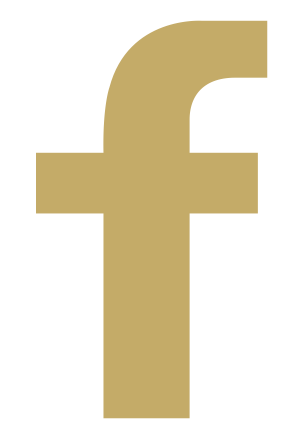 The Bocelli FarmHouse Post-Cruise Tour is the perfect sophisticated finale to your cruise vacation. 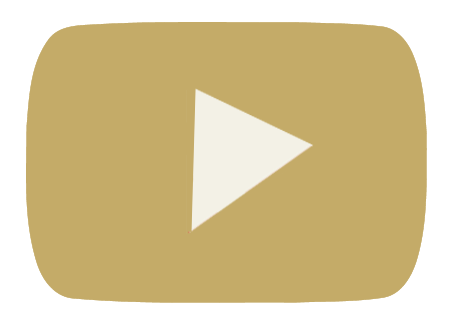 You will continue your tour through the Bocelli wine cellar where you will sample the exquisitely enticing flavors of the wine produced at the Bocelli FarmHouse. After relishing in the divine flavors, you will have the opportunity to purchase these wonderful bottles of wine or olive oil. You will then be transferred to a Bocelli restaurant where you will enjoy a traditional Italian lunch comprised of wonderful Tuscan delicacies. As your cruise ship docks in Civitavecchia, you’ll be greeted by your English Speaking Driver that will be at your total disposal for the length of your Bocelli FarmHouse Post-Cruise Tour. You will always find him eager to provide you and your party with factual information, handy tips when holidaying in Italy as well as great recommendations and good conversation in fluent English! He will chauffeur you in a luxurious and comfortable Mercedes Benz vehicle, to the breathtaking Bocelli FarmHouse family nestled amongst the beautiful Tuscan valleys in Lajatico. On your arrival you will be shown to your luxurious private apartment where you will be able to relax and enjoy the scenery before your evening meal. On the second day of your unforgettable Bocelli FarmHouse Post-Cruise Tour you are in for a real treat as you discover the artistically rich city of Florence. Before leaving the region of Valdera, however, you will be treated to a fabulous breakfast spread including both sweet and savoury Italian specialties in Lajatico's top cafe. Afterwards, your English Speaking Driver will chauffeur you directly to the heart of this enchanting Tuscan city where you will meet your English Speaking Licensed Guide. Your first Florentine visit will be to the simply striking Basilica of Santa Maria del Fiore and Brunelleschi’s great Duomo. You will then move on to view Giotto’s sky-scraping 84 meter tall campanile and the beautiful Baptistery of San Giovanni famed for its intricate mosaics and golden Gates of Paradise. You will then enjoy a pleasant stroll to the magnificent Piazza della Signoria, here you will find yourself before the striking Palazzo Vecchio before making you way to the celebrated Ponte Vecchio. The Ponte Vecchio is the city's most striking bridge due to the artisan shops built within its structure. Today, these stores are home to a great many jewelers and art dealers making it the perfect spot for a little window shopping. You will then head for the Chiesa di Santa Reparata, this lovely church was once the city’s main cathedral and today is often admired for its ornate mosaic flooring and beautiful bas-relieves. By this point you will probably be feeling a little peckish, so your driver guide will swiftly accompany you to a fine restaurant located in the heart of the city for lunch. After having thoroughly enjoyed your delightful meal alongside a glass of fine Tuscan wine, you will embark on a tour of the Teatro del Maggio Musicale Fiorentino. This majestic theatre has played host to a number of talented musicians including Andrea Bocelli when, in 2003, the talented tenor performed his emotional rendition of Puccini’s Tosca before a mesmerized audience. Afterwards, you will pay a visit to one of the world’s greatest art collections which is housed within the architecturally striking Uffizi Gallery. You will be able to admire masterpiece after masterpiece as you explore the great halls, home to artwork from numerous different eras and artistic movements. Attraction tickets are also pre-booked meaning that you do not have to worry about those pesky queues. When you are ready, your English Speaking Driver will accompany you to the Academy Gallery where you will continue your discovery tour of these wonderful artistic gems including the symbolic white marble Statue of David, masterfully sculptured by none other than Michelangelo himself. When you have finished admiring this impressive artwork, your English Driver Guide will be ready and waiting to chauffeur you back to Bocelli FarmHouse family where you will have ample time to freshen up before heading to yet another delicious dinner at the authentic trattoria near your accommodation. On the third day of your Bocelli FarmHouse Post-Cruise Tour, you will embark on the beloved Bocelli Countryside Escape Tour. After breakfast, you will meet your English Speaking Driver which will take you directly to Volterra, where you will visit the town’s former Amphitheatre. The ruins of this remarkable Roman structure will give you the opportunity to have a wonderful insight as this town used to be into ancient times. 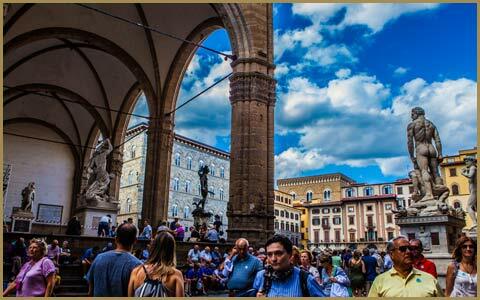 You will then head to Piazza dei Priori, a stunning Italian square where Andrea Bocelli performed in a magical concert a decade ago. This was one of the tenor’s most important performance. 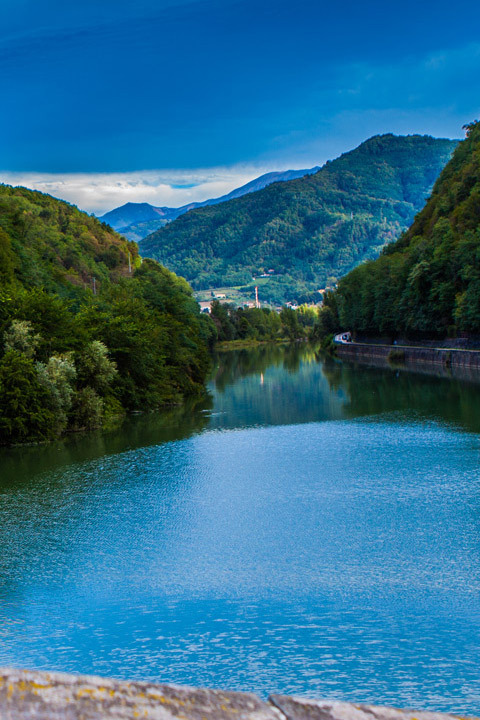 You will have plenty of time to take a look of some of the surrounding cafes and artisan stores before being chauffeured by your English Speaking Driver to the Bocelli vineyards. Andrea’s brother, Alberto Bocelli, has been cultivating grape vines for many years now and he produces top quality Tuscan wine on his estate. 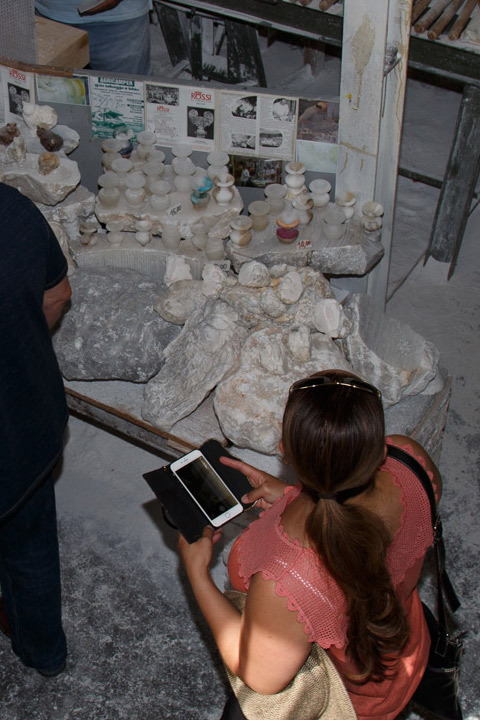 As you visit this delightful location, you will also be able to learn all about the production process, of course all the information will be given in English. You will then visit the Bocelli cellars. 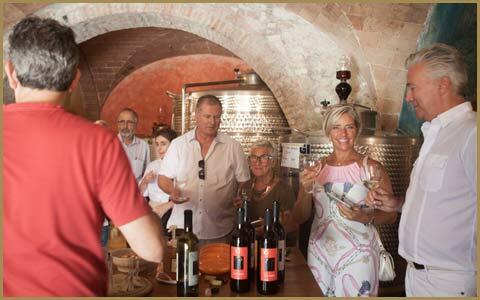 You will have the chance to sample a selection of Tuscan whites and reds before having the unique opportunity to purchase some of the Bocelli branded wine and a exquisite olive oil directly from the family at great prices. Your personal driver will take you to the to the centre of Lajatico where you will enjoy an exquisite four course Tuscan lunch at one of the region’s most celebrated restaurant. 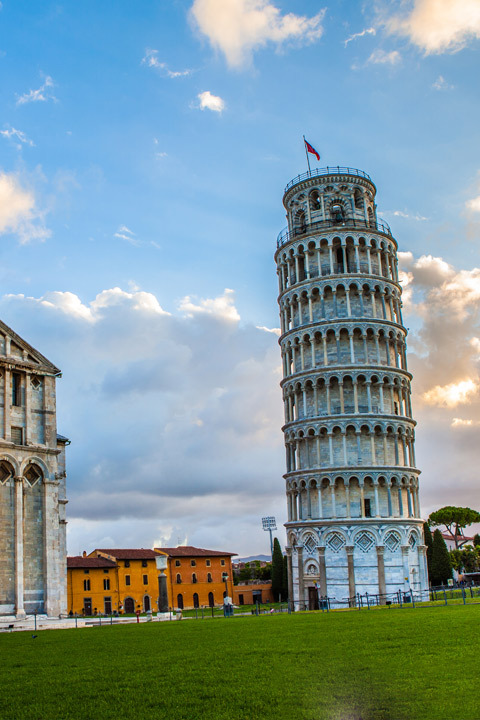 You will then move on to the magnificent city of Pisa: upon arrival, you will enjoy a stroll through the city centre before stopping at Piazza dei Miracoli. 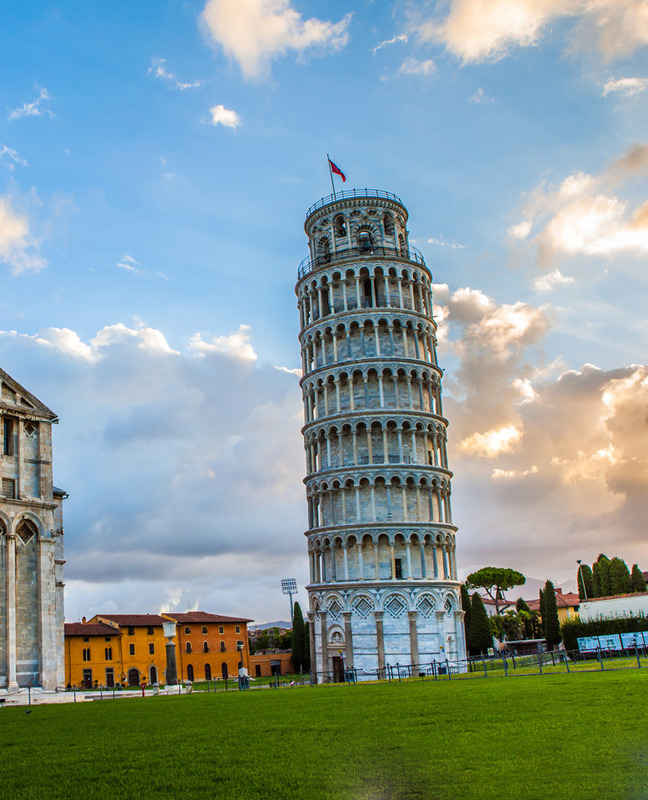 This is indeed Pisa’s most popular tourist attraction and you will have all the time you need to take photographs and simply admire the bizarre architecture of the world’s most famous campanile, known as the remarkable Leaning Tower of Pisa. You will then visit a location that remains close to Andrea’s heart. In 1997 our favourite tenor performed in Piazza dei Cavalieri before a significant crowd. He sang a number of beautiful love songs alongside the Italian soprano Nuccia Focile and her British counterpart Sarah Brightman. When you have finished admiring the impressive architectures of Pisa, your English Speaking Driver will be ready and waiting to chauffeur you back to Bocelli FarmHouse where you will have ample time to freshen up and put your feet up before dinner at the nearby authentic Tuscan restaurant. You will then return to the Bocelli FarmHouse in order to while away what remains of your evening in the peace and quiet that the rolling Tuscan hills offer. 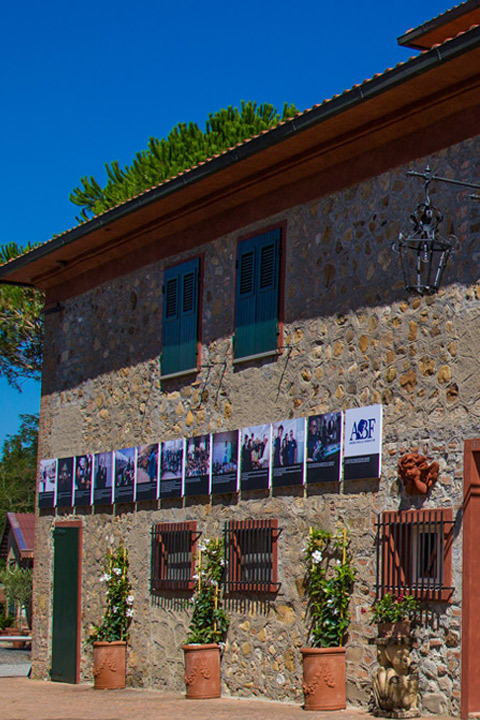 On the fourth and final day of your memorable Bocelli FarmHouse Post-Cruise Tour you will enjoy yet another wonderful breakfast spread at the top cafe of Lajatico before gathering your belongings and bidding a fond farewell to this slice of Tuscan paradise and the Bocelli family FarmHouse. Via scenic Tuscan countryside routes, your English Speaking Driver will then take you directly to your dock in Civitavecchia Port of Rome for 3.30 pm where you will have plenty of time to spare before embarking onto your Cruise ship.